What is the best natural dog tick repellent? 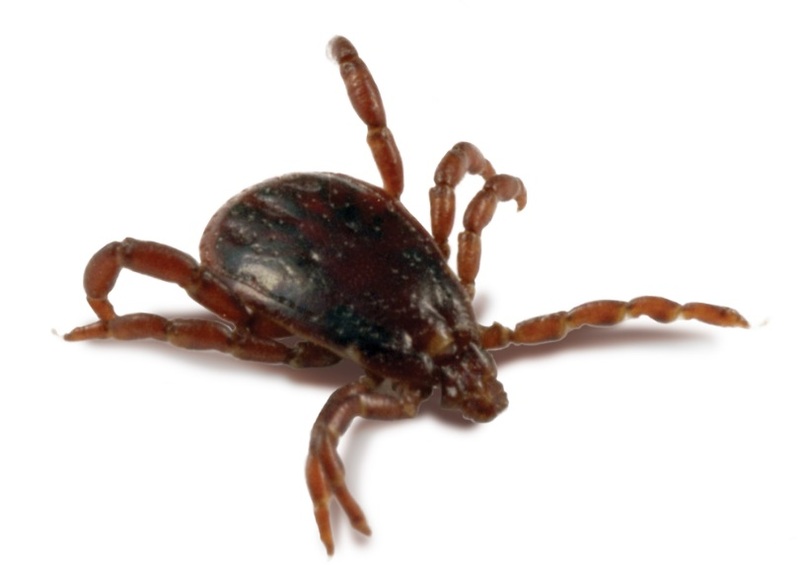 When used as a dietary additive, garlic makes pets less attractive to ticks. The garlic smell is usually produced through the skin of the dog which repels fleas and ticks. Nonetheless note that garlic contains disulfides and sulfoxides which are not good for dogs and can easily damage their red blood cells when fed in large amounts. So make sure you only give him or her enough. The acidity that Apple cider vinegar adds to your pet’s blood makes it less attractive to fleas and ticks. All you have to do is add a single teaspoon of apple cider vinegar to their water or food. It is also highly recommended that use high quality apple cider vinegars. They will not only repel ticks, but will also improve your pup’s coat and skin condition considerably. Have you ever asked yourself why most wild dogs usually jump into water more often during hot seasons? Yes, you just guest right, to relieve themselves of ticks and fleas! Water is a very effective natural tick repellent .Because ticks do not hold or grasp onto the dog’s hair shafts; they usually fall off in the water. A dip in water twice or thrice a week will wash away a good percentage if not all of the ticks on your dog. In addition using some regular dish liquid or a gentle pet shampoo, plus brushing will also go a long way in preventing and removing ticks from your dog’s body. Lemon contains citrus acid which acts as a natural tick repellent. Just make sure you use a fresh one and squeeze some juice directly on the affected area of the dog. Alternatively, you can also prepare a homemade spray with ingredients like citrus oil, peppermint oil and lemon juice. Just mix the three ingredients together and spray it on the affected areas. A disinfectant solution of lemon juice for bathing your dog can also help. Just squeeze the lemon juice in a glass of water and add pulp and peels in the water. Then add the solution in his or her bath water. You can also slice the lemon and leave it in bowl of boiling water overnight. Then dip a piece of cloth in the solution and apply on the affected area of your dog. To help reduce the number of ticks in your home consider, adding a tick predator in your yard. For example, you can use nematodes (small worms that feed on tick larva).You can find them at pet shops or garden stores and are very efficacious. Note that the nematode mentioned here is the beneficial nematode and not the one that infects animals. You can also use lady bugs. They are very effective and can easily be found at garden stores. They feed on ticks and a mature one can eat up to 50 ticks per day. Another animal that can act as a natural tick repellent is the fire ant. They feed on tick larvae and can be controlled easily. So if you have some on your yard, consider limiting them to some areas rather than eliminating all of them. Consisting of marine life, ground fossils and fresh water organisms, diatomaceous earth is a non-toxic powder that is every effective at eliminating ticks. Although harmless to human beings and dogs, it is very lethal to fleas and ticks. Ticks like to hangout in grass and they are very good at grabbing on to anyone passing by when they feel warmth. So if you like spending time in grassy or wooden areas with your pet, consider designing a cover up garment for your pet to avoid fleas and ticks. Your old t-shirt can be designed to fit his or her body. 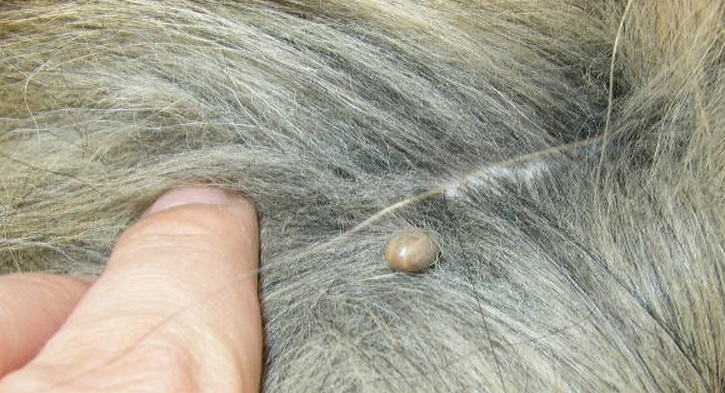 Although this method may not prevent ticks 100 percent, it will work to keep a good percentage of them off since they have nothing to hold onto .Even those that try will be swept off because they cannot spend as much time on your pet’s skin. Although there are many herbal tick collars available on the market today, you can also design yours at the comfort of your home. Just mix Rose Geranium oil with 2 tablespoons of oil and dap some drops on the pet’s neck before going out. You can also place the oil directly on his or her collar. Neem oil is a very popular natural tick repellent. It has antiseptic and anti-bacterial properties that are very effective at preventing and fighting ticks. Just pour some drops of the oil on your palm and then rub it on the area that is affected. If you want to dilute it, mix the oil with some carrier oil like almond oil and jojoba oil. Pour some on your palm and run softly on the dog. A spray can also be prepared using organic neem oil. Just mix half once of neem oil with half once of mild soap. Stir and add to 2 glasses of water. For those who want stronger solutions, mix 2 glasses of water with 2ml soap, and then add 5ml of neem oil. Put the solution in a bottle and then use it to make your dog healthier and happy. Using these natural methods to prevent ticks will go a long way in not only maintaining the environment, but also maintaining your pet’s health too. Also note that these preventatives will be more effective when used in together. An environmental solution blended with a dietary solution offers enhanced protection while avoiding the negative effects that processed chemicals can bring to the animal’s body. In addition, when trying these methods, try to keep attention at what solution works best for your dog to ensure that your four legged friend lives a healthy and chemical free life. DeadPestz.com is a participant in the Amazon Services LLC Associates Program, an affiliate advertising program designed to provide a means for sites to earn advertising fees by advertising and linking to amazon.com. DeadPestz.com also participates in affiliate programs with ShareASale and Clickbank.